The all-new Versa Note is offered in a range of well-equipped grade levels: S, S Plus and SV, along with top-of-the-line SL Packages. Each is equipped with an advanced 1.6-liter DOHC 4- cylinder engine with dual fuel injection and Twin CVTC (Continuously Variable Timing Control). Nissan gave the world its first look of the all-new 2014 Nissan Versa Note at the 2013 North American International Auto Show (NAIAS) this week in Detroit, Michigan. “As the entry segment is expanding with new models and nameplates, it’s not enough to offer value alone. The new Nissan Versa Note shakes up the category by satisfying both the emotional and rational needs with features that are truly unexpected in the class – such as sleek styling and advanced innovation features like our Around View® Monitor parking assist system at an affordable price,” explained Al Castignetti, vice president and general manager, Nissan Division, Nissan North America, Inc. The new Versa Note is not only a good value, offering class-leading cargo space and technology, but it also comes in a stylish package. The hatchback has a distinctive look inside and out, with enhanced aerodynamics that includes a steeply-sloped windshield, Active Grille Shutter, and rear combination lights with aero flares. 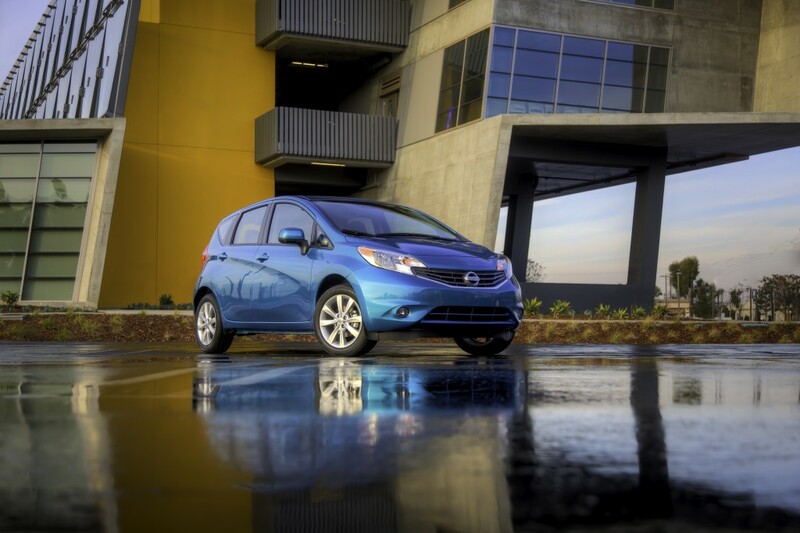 The interior of the Versa Note is spacious with best-in-class cargo space. The style coordinates with the exterior design, featuring Fine Vision instrumentation, chrome accents and available SL Tech Package that includes the NissanConnect Navigation System and Around View Monitor.